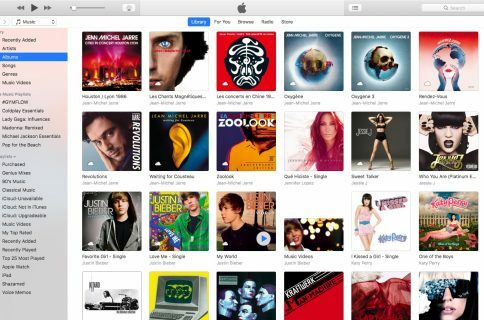 From time to time, you might come across an audio file format known as .caf (Core Audio Format), which was originally created by Apple to put an end to file size barriers set by other audio file types. 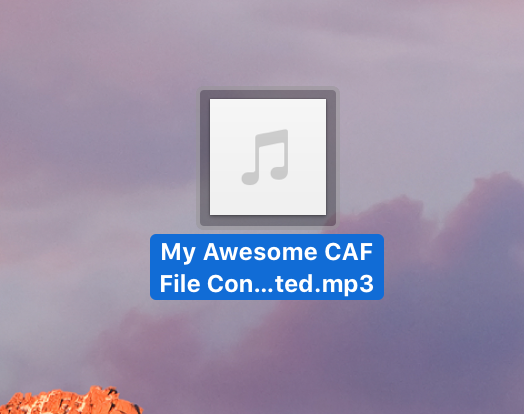 Unfortunately, not every audio player or device works with .caf files, so it might do you good to know how to convert them to another audio file type using the software that comes with your Mac. 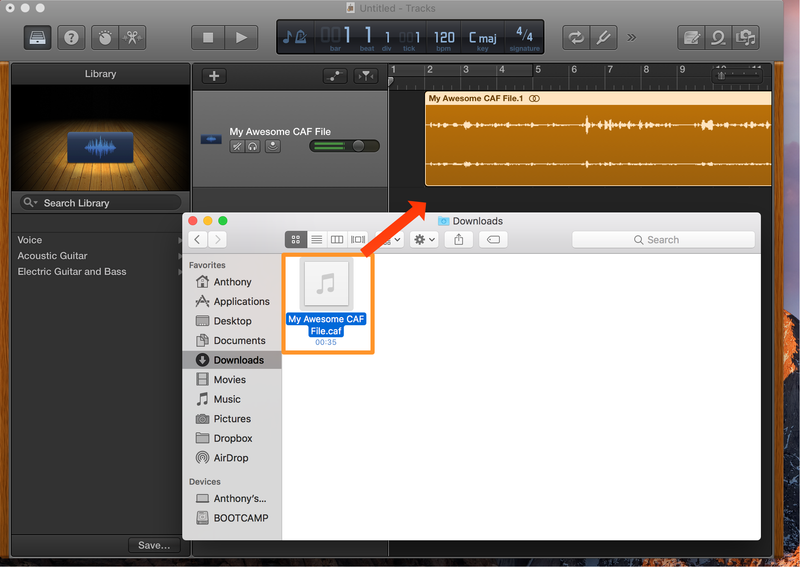 In this tutorial, we’ll show you how to convert .caf files to more commonly-used audio files such as AAC or MP3 with Garageband. Garageband is a free download from the Mac App Store for anyone who has purchased a Mac after the Fall months of 2013. 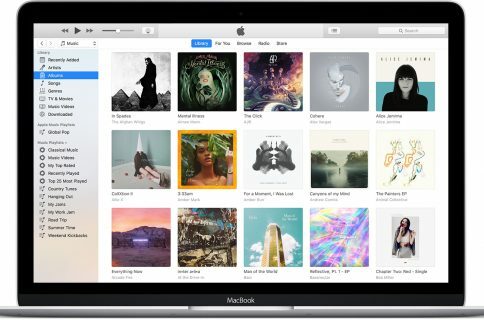 If you’re using an older Mac or aren’t eligible for the free download, it’s available to download for $4.99. 1) Launch Garageband on your Mac. 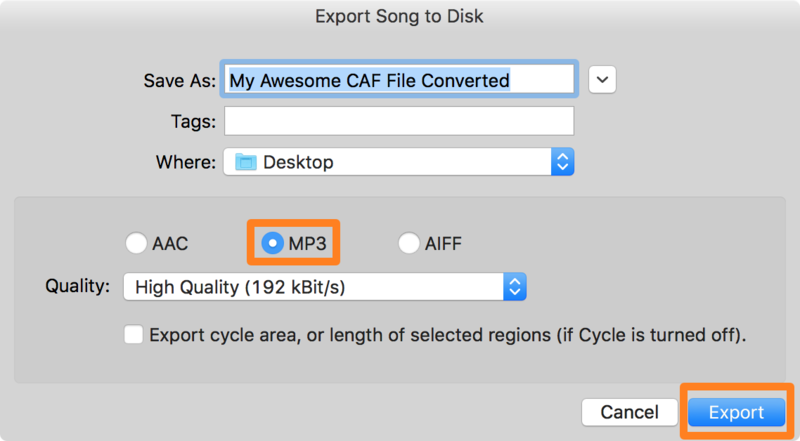 Tip: You can export your file as an AAC file, which is commonly used by iTunes and iPhones/iPods for audio; MP3 is commonly used for many other third-party MP3 players or other operating systems and or AIFF is a file type you’re unlikely to ever use. 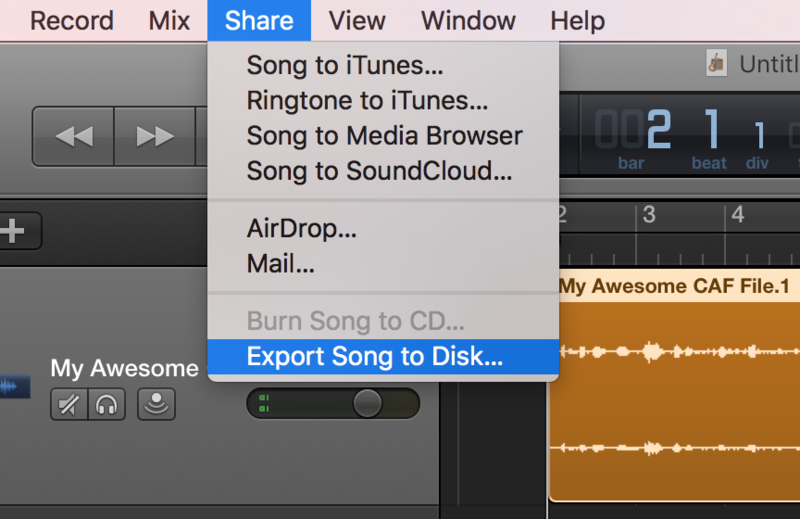 Now that you have a more commonly-used file type at your disposal, you’ll probably be able to open it with many more apps and listen to the audio with many more devices. Were you successful in converting your .caf file to a preferred file type? Share in the comments below!